(la enseñanza de español a los niños) is not only an interesting program designed to teach Spanish to North American kids and teenagers whom speak French or English as their first language, but is also adjustable to teach Spanish to students from all other origins. Spanish is a growing language and a huge demand exists between families that somehow associate with the Spanish & Latin World. TSC is also demanded between Latin American families that have their kids growing up in USA or Canada without much chances of speaking Spanish, hence the need to have Spanish classes for kids. On the other hand, there are many Canadian or American business people that work or do business in Spain or Central & South America. Families and children of these individuals most certainly require Spanish classes for their kids and teenagers. 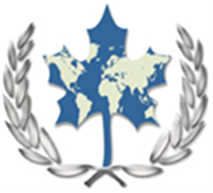 TSC is 200 hours program accredited by TESOL Canada with wide range of employment opportunities in Canada and overseas. The Pre-requisite for this program is completion of ECC TSSOL program. Graduates of TSC Certificate program may start an employment position or follow up to Post Graduate Diploma or Masters in Education through university affiliates of ECC. Teaching Spanish To Children TSC – EESN Post Graduate Diploma. Program to be completed within four months at Education Canada College. Completion of TSSOL/ TESOL Certificate Program. Are they reluctant to say things in Spanish in front of their peers? Do they have few or no opportunities to practice spoken Spanish outside the classroom? Do you want them to speak more Spanish in class? Following are additional subjects that are included in the TSC program.